Arts and crafts are popular activities for many senior centers. With festive fall holidays like Halloween and Thanksgiving right around the corner, you will need easy craft ideas to fit both holidays. This Hanging Lanterns craft project is a great idea to engage your senior residents, and brighten up your center. 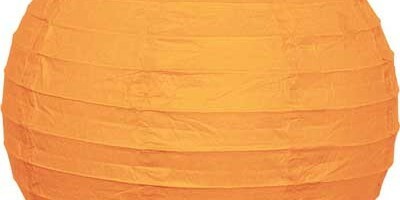 Open and unfold the Round Orange Paper Lanterns. Cut leaves and one strip of felt for a pumpkin stem from the Felt Squares. Attach the leaves to the lantern with glue or tape. Roll the felt strip to make a pumpkin stem and attach it to the lantern. Cut eye and mouth shapes from the felt squares. Attach them to the orange lantern to make a Jack-O-Lantern! Hang your lanterns around your senior center so all of your residents, and their families, can enjoy them during Halloween, Thanksgiving, and through the fall season. What other arts and crafts ideas does your senior center do during the holidays? Let us know! We’d love to hear from you!